Pearl Jam guitarist Stone Gossard and bassist Jeff Ament are sharing an update on the band’s next album following the pair’s appearance alongside drummer Matt Cameron as Temple Of The Dog at last week’s Chris Cornell tribute concert in Los Angeles. The Seattle outfit offered the first preview of the follow-up to 2013’s “Lightning Bolt” last spring with the release of the stand-alone single, “Can’t Deny Me”, in sync with their 2018 tour. “Yeah, that was fun,” Gossard tells Rolling Stone. “I’m glad we got to do that. That was a little bit of a star from one of the ones that we had recorded, so we’re hoping to get some more of that going. 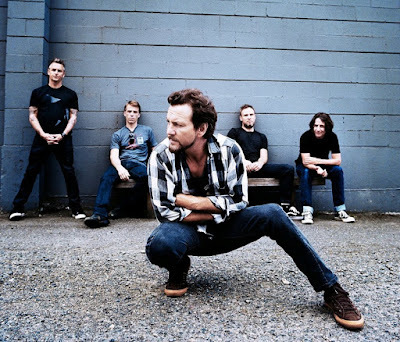 While it’s been six years since their last album, Pearl Jam have been chipping away at new material when time permits. Pearl Jam recently announced the end of their annual fan club holiday singles series after more than a quarter century; the band launched the holiday singles series in 1991, releasing limited-edition 7” vinyl editions of rare and often live tracks to their fan club members.